Keeping on top of your expenses isn’t always easy when you own a car, but by creating your own car maintenance record you should use this to help you plan for future expenses and maintain a road worthy car. A car maintenance log isn’t difficult to create, there are different options you can choose, electronic or paper-based and they work the same, to track your spending on your vehicle and help you plan for future work and expenses too! 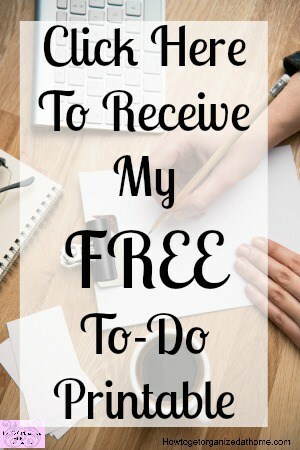 I use a paper-based system and this allows me the freedom to write down the information and to store any paperwork with the log, allowing me to look back over the expenses and to judge any future work that my vehicle might require. It is easy to forget the little things that you need to remember, the last time your car’s service was and the price you paid if there were any future recommendations as to work that you might need to consider completing and any estimates of the costs involved. A car maintenance log allows you to create order, for your vehicle and any paperwork that you need to support the ownership. It is a record of how well your car is working and if you might need to consider saving towards a new vehicle and how quickly you need to put the savings into action. Keeping a record of all things related to your vehicle makes perfect sense. Whilst it is great to own a vehicle to get around, it is also something which, if you want it to last, you must take care of it and that includes making sure that you are servicing the car at regular intervals and remembering to tackle the minor things as well as the more major items, including ensuring that the vehicle is roadworthy and legal. Owning a car doesn’t have to mean that you always have access to a vehicle, you must factor in those days when it needs to visit a garage for regular maintenance and whilst this is often annoying taking this into account when you create your budget is important. It is easy to look back at your records to see when the next service is due, often in new cars, you will have a light indicating it is time for a service. Paying for these expenses doesn’t have to mean that you go without anything if you have taken the steps to ensure that your budget is ready for these expected expenses. Even though you might not know the exact cost of a service or exactly when you will need to replace the tyres on your vehicle, but it doesn’t mean that you don’t plan for these expenses when you create your budget. I use the previous year’s expenses as a starting point for how much money I need to save each year. I always add around 10% to this figure to deal with any rise in prices and inflation and I just divide this figure over the twelve months of the year. This way when it comes to paying for any maintenance for my car I know that I have the money ready and waiting for the expense. It also means I don’t put off any maintenance due to lack of funds, this is dangerous as you must ensure that your car is roadworthy. I also put money aside every month towards a new vehicle, this ensures when the time comes to purchasing a new vehicle I have the money ready and waiting. I start this fund the first month after I purchase a new vehicle, I think it is important that even buying a new vehicle it should not make me owe money. I know this option isn’t for everyone, and sometimes it is necessary to consider a loan. The most important thing you must consider is the amount that you pay back each month and the overall cost of the loan. Not all loans are equal, some are better than others and finding the right loan is key to the amount you end up paying. Using your car maintenance log as a way to predict your budget gives you an accurate picture of expenses, it is better than any guess that you might make as to how much your vehicle costs over the course of a year. The style of your car maintenance log will depend on your personal preferences whether you choose a paper-based or opt for an electronic option. The point to make is they can both work and they can both work well, the important thing to do is to make sure you are recording all the information and remembering your future planning. Just noting down your car is due for a service is one thing, but if you haven’t checked your car maintenance log, how do you remember to book the actual service? I use my car maintenance log with my planner, I note in future dates for things that I need to check, this way nothing gets forgotten about or missed through a lack of working with the log and not hoping that it will do the hard work for me. 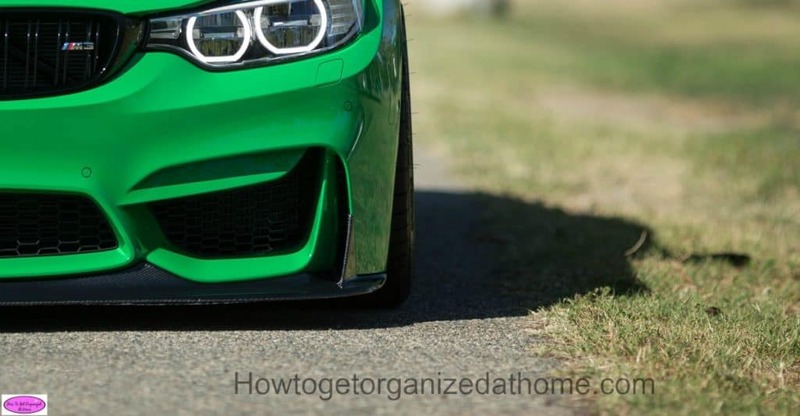 Therefore, creating a car maintenance log is important, it can help you plan your budget more effectively, it is a great way to organize your car maintenance and to make sure that you are effectively maintaining your vehicle and highlight any potential future problem that you need to plan for. If you are looking for more articles on this topic head over to the landing page where you will find links to other articles on caring for your car. What is your best tip to ensure that you keep on top of your car maintenance? 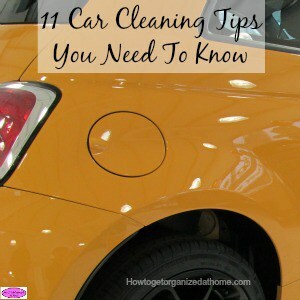 I wrote another article that I think you will enjoy, 11 Car Cleaning Tips You Need To Know, click the link to read!